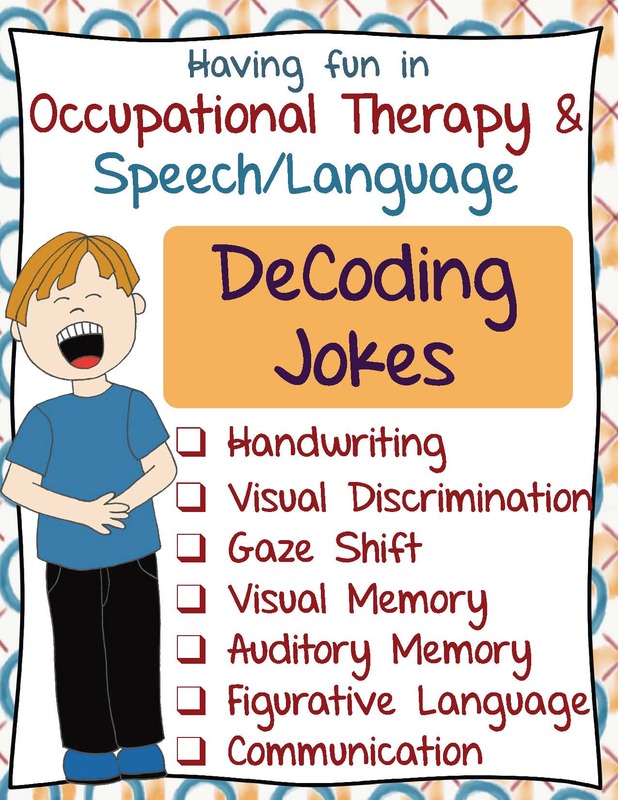 This Decoding Jokes download, created by Thia Triggs OTR, is perfect to start your OT or Speech and Language session with a laugh! Engage and motivate your students to practice handwriting. 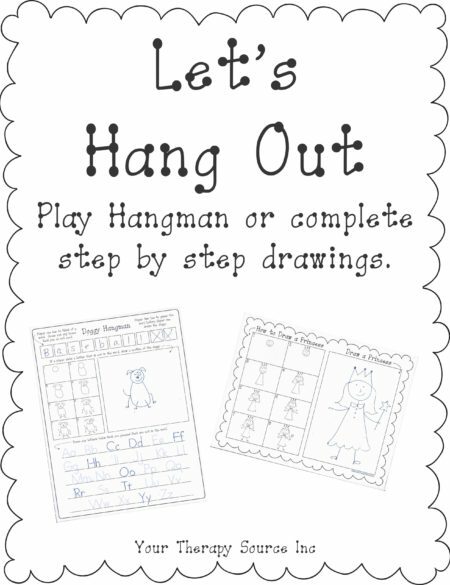 Great individual or small group activity. Build your therapeutic relationship through humor, laughter, and connection. * Executive function and problem-solving skills. * Visual perceptual skills including visual discrimination, and visual memory. * Gaze shift -needed for reading, copying from the board, and getting information from the environment. * Auditory skills of listening and memory. * Group: cooperation, communication, and visual perceptual skills. A large sized alphabet code is provided for close-point or far-point visual skill practice. 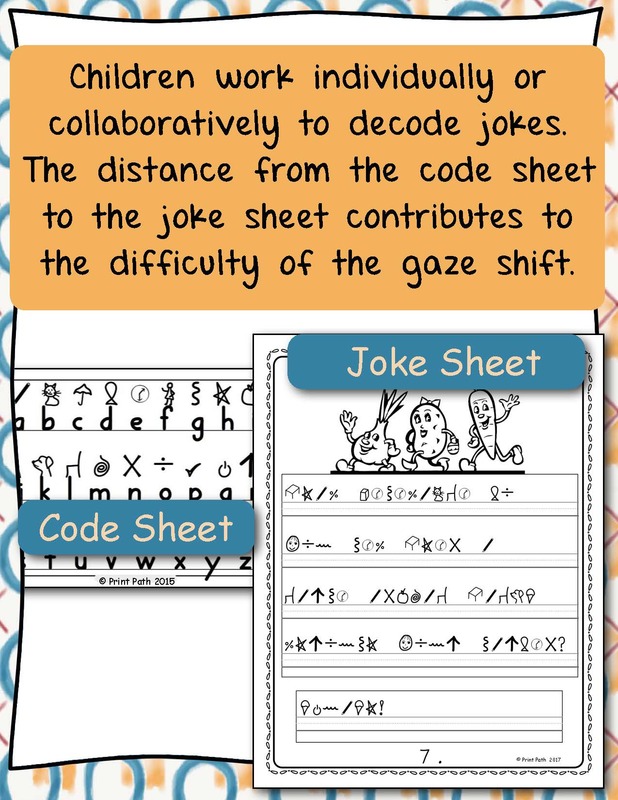 If you are working with two students or a small group, give one child the joke sheet and the second child the symbol sheet. 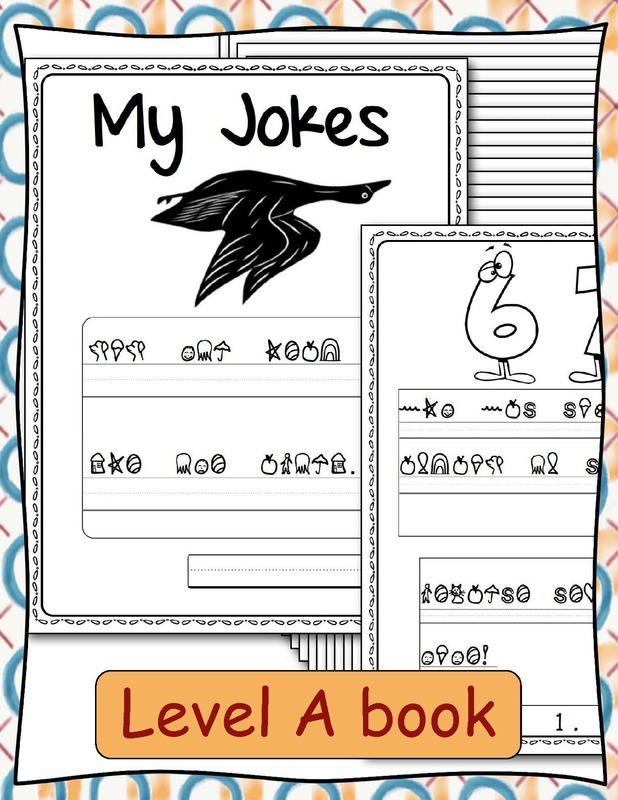 The children with the joke sheet verbally describe the symbol, and the children with the alphabet code can tell them the letter. 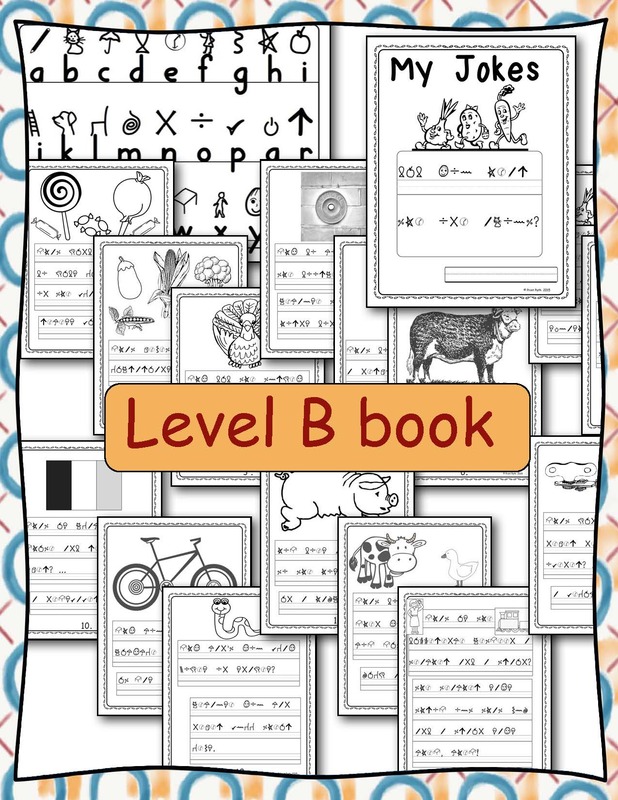 Level A: Many of the letter codes have a phonetic connection. A is an apple, B is a boy, C is a cat. Level B: The letter codes are random. A is a pencil, B is a cat, C is an umbrella. DOWNLOAD SOME FREE SAMPLE PAGES. ★ Totally blown away by this product. A great surprise and fantastic for my kids. 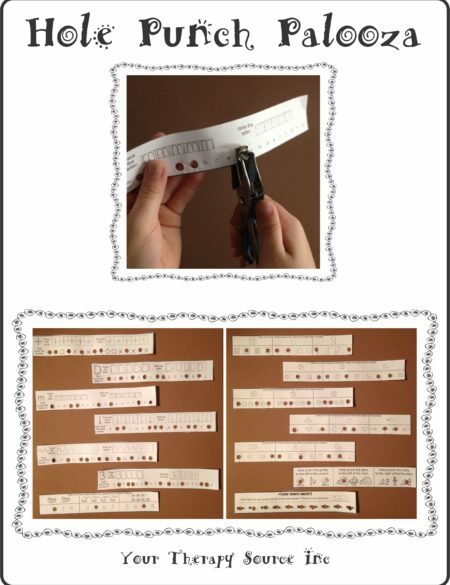 If you have a code-loving kiddo who struggles with handwriting, you NEED this. ★ My students (and children) love these! A fun way to work on handwriting that is loved and requested by children! Thank you! ★ So creative, so thorough, and EBP! 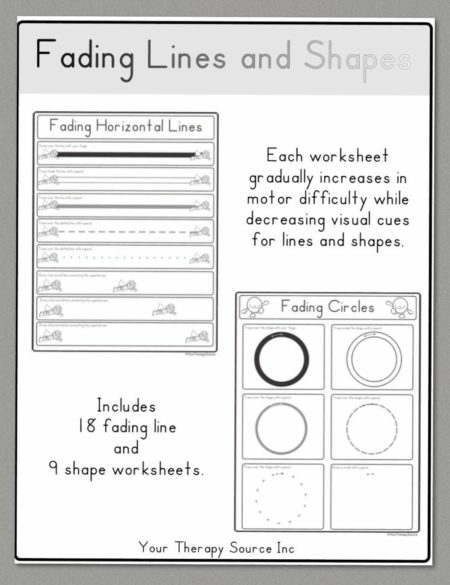 This is exactly what I was looking for to add to my tools for fun ways to strengthen and teach my students about EF. ★ My students enjoy working on handwriting when using these. Thanks. ★ Kids love this – great that it has more than one decoder to use! ★ These are awesome resources for engaging students to write during sessions. ★ I am so excited to use this with my middle school ELA intervention classes. My kiddos have needs that span across so many areas. I think this resource will be so engaging while helping them develop necessary skills. Thank you!! ★ So fun and the jokes are great for my elementary students!